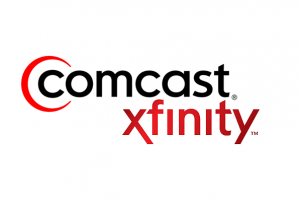 For everyone tired of paying more to Xfinity (Comcast) after their promotional periods ends you must read this tip. Once you get the shocking bill with your rates going up just call in to Xfinity and tell them you want to cancel your service. You’ll get routed to a very exclusive call center with very friendly and articulate employees. Don’t be afraid to tell them that you are calling in to cancel your Xfinity subscription because it has just gotten too expensive. The call center staff will give you plenty of options to change your mind so don’t feel that there is any finality to what you are saying. Now just sit back and see what new offers the cancelation staff comes up with. Even when the regular Xfinity (Comcast) sales people have no better offers for you the cancelation department can always come up with some discount that’s just a few dollars more expensive than your original promotional offer. With any luck you’ll get yourself another year of service at a nice low rate. Then, next year there’s nothing keeping you from applying this same strategy again. Next time your Xfinity (Comcast) bill is out of control just call in and ask to cancel. Rather than lose you as a customer Xfinity will miraculously become very creative in discounting your bill for another year long period!